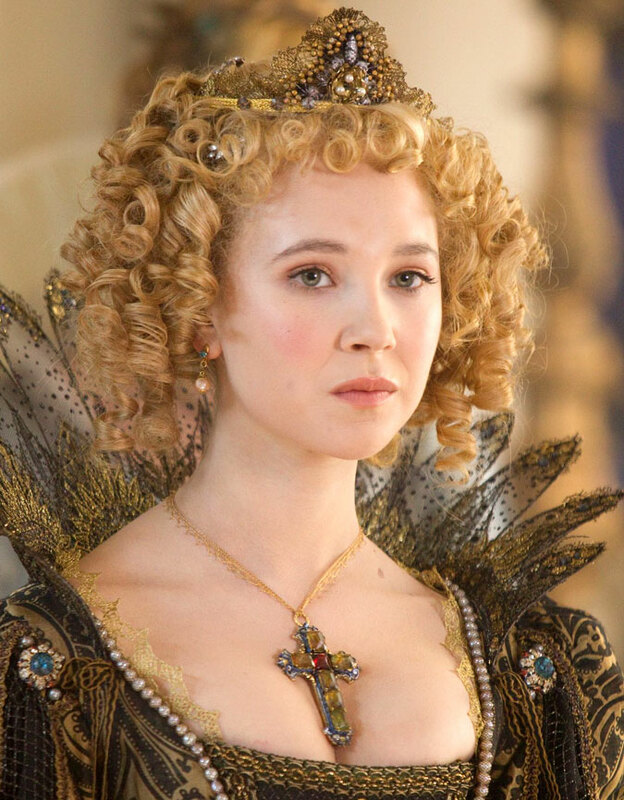 When I first read that Juno Temple was up for a role in Paul W. S. Anderson’s adaptation of The Three Musketeers (2011), I crossed my fingers in the hope that she’d be playing a gender-swapped, cross-dressing D’Artagnan. * That didn’t happen, of course… in reality, she was cast as the teenaged Queen Anne (aka “Anne of Austria”), who may or may not have had an affair with the dashing ‘Duke of Buckingham’ (Orlando Bloom), depending on how much stock you put in innuendo. Either way, she got a few good scenes here, and it was fun to see her facing off against Christoph Waltz’s Cardinal Richelieu, even if she didn’t have a sword in her hand at the time. Sadly, several of her best lines were cut, and only appear in the DVD’s deleted/extended scenes… which wouldn’t be quite so galling, if James Corden didn’t get so much screentime as the Musketeers’ intensely irritating “comic relief” servant. Feh. As compensation, there is a lot of love for the actress on the commentary track, with veteran producer Jeremy Bolt telling an amusing anecdote about how a five-year-old Juno had slapped him with a stick when he went to inform her father (director Julien Temple) that he hadn’t been able to raise all the money they needed for the film he was working on! Bless. Fun fact: Anne’s lady-in-waiting was played by Gabriella Wilde, while her husband (King Louis XIII) was played by Freddie Fox… both of whom appeared in St Trinian’s 2: The Legend of Fritton’s Gold, along with you-know-who. 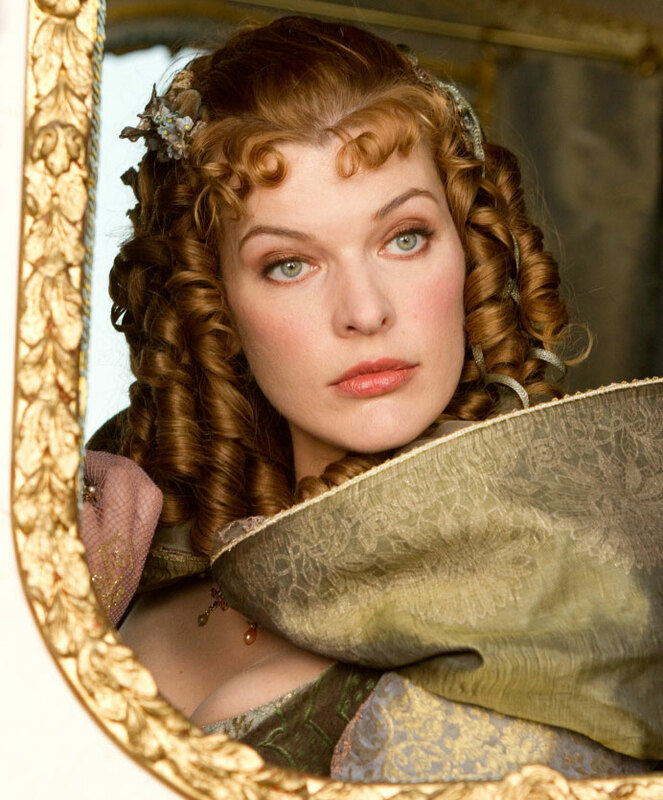 Meanwhile, Anderson first met Juno while she was filming Dirty Girl with his badass wife/baby-mama, Milla Jovovich… who is cast here as the devious, death-defying ‘Milady de Winter’, and given several awesome action sequences to compensate for the girly ringlets and tight corsets she had to wear. In fact, Jovovich would probably be my MVP of the movie… although she obviously has a “home turf” advantage, and could probably play this sort of character in her sleep by now, that doesn’t make it any less exciting to watch her work! The same could probably be said for the movie itself… a lot of the plot elements are familiar from countless previous adaptations, and a few lines seem to have been stolen from other (better?) films, but there was more than enough energy and humour to make the story seem fresh and thrilling all over again. Anderson may not be the most critically acclaimed director in the business, but dude knows how to make a rollicking, swashbuckling crowd-pleaser… and, as far as period-films-starring-a-moustachioed-Matthew-Macfadyen go, I’d take this over Anna Karenina any day of the week! * There have been two films made about D’Artagnan’s daughter following her father into the musketeering business: A TV-movie called La Femme Musketeer (2004), starring Susie Amy, which I’m pretty sure I’ve seen, but can’t remember a damn thing about (which isn’t a great sign, is it? )… and D’Artagnan’s Daughter (aka Revenge of the Musketeers or La fille de d’Artagnan) (1994), starring Sophie Marceau, which sounds like a definite must-see. This entry was posted in Rants about Films and tagged Juno Temple, Milady de Winter, Milla Jovovich, The Three Musketeers. Bookmark the permalink.